Raw Mango Sambar is a tangy, tasty and easy to make South Indian sambar variety made during the summer season. Summer is when mangoes are found in plenty and there are a numerous ways one can devour the king of fruits. 2. Add the toor dal, kopra and red chillies. 3. Fry for a minute and remove. 4. Grind to a fine powder and keep aside. 5. Add the tamarind extract to a pan and place it over medium flame. 6. Add salt, turmeric powder, sambar powder and mango pieces. 8. Add the ground masala powder and simmer for 2 to 3 minutes. 9. 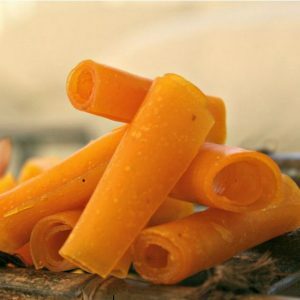 Fry the tempering ingredients in a pan and add to the sambar. 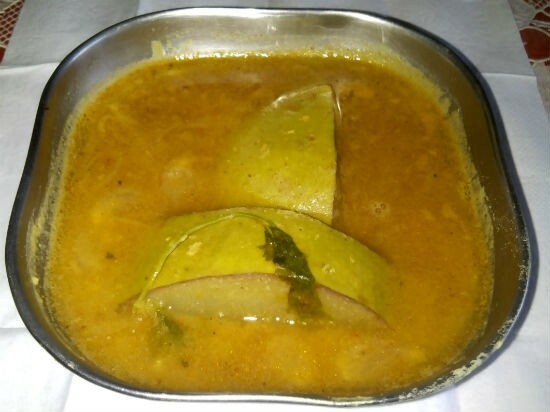 Feel free to comment or share your thoughts on this Mango Sambar Recipe from Awesome Cuisine.